With 3D cinema becoming bigger and bigger by the month, and 3D television coming soon, the next big 3D landmark is gaming. 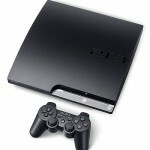 Sony is certainly ready for it, with the Playstation 3 set to receive 3D support in a firmware update scheduled to arrive in June. The update coincides with the debut of Sony’s line of 3D HDTVs, starting with the LED LCD HXB03 line. Two pairs of Sony’s active shutter glasses will be included with those sets, arriving in a wide variety of colors, including pink and blue ones aimed at children. The glasses are expected to have one hundred hours of battery life. On that same day, reworked versions of popular Playstation Network titles will be released with full 3D support. The titles are the bestselling Wipeout HD, PAIN, Motorstorm: Pacific Rift,and Super Stardust HD. It is unclear yet whether people who previously bought the 2D editions will have to pay full price for the upgrade. One big caveat to the firmware update is a lack of support for 3-D Blu-ray films. That, Sony says, is coming later in the year. Previous Previous post: 7-Eleven to soon offer…used video games? why would they support games before Blu-ray? Are there 3d games using the shutter glasses?